Copyright covers individual ‘works’, and a website is not considered a single ‘work’. A website is made up of the design, and the copyright of the design may lie with you, the website owner, or could remain with the original designer (as is often the case with themes and templates). Then there’s the written content, which is the copyright of the author and the owner, or perhaps just the owner or just the author (used ‘with permission’ by the owner / publisher). Then there’s any illustrative media like graphics, videos, animations and photographs. Such works remain the copyright of the creator and may be used under licence by the website owner / publisher, or wholly signed over to the owner, with royalties or ‘royalty free’. So, ‘this website copyright 2010‘ is bumpkin, each work that makes it up comes under the laws of copyright, in the country of origin, but perhaps also the country of display (oh, confusing). In the UK, all work is automatically covered by strong copyright. If you want people to share and re-use work, learn about Creative Commons, and check out my other three copyright articles. This article was tagged copyright. I think your article is misleading. Copyright exists in any original work that falls into any one of a number of categories, like literary or artistic work. 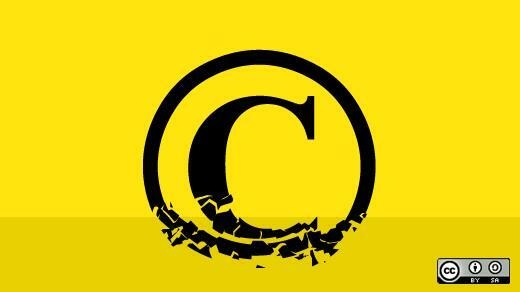 Crucially, software source code is considered original work and is protected by copyright. Unfortunately, too few people in my opinion take the necessary steps to protect their work; even the use of a simple copyright notice has value. This article is of interest to me as I’ve had to consider the copyright of my own website recently. I don’t think it’s misleading and unless I’m reading Cian’s comment above wrongly, I think the comment *and* Wedge’s article are actually saying the same thing. The point is that a single copyright statement for a whole site doesn’t do the job, and that each individual ‘work’, including any handwritten code etc, should have it’s own copyright statement. So I imagine my own website should have copyright for the ‘theme’, copyright for the additional code and tweaks my web designer (Wedge) created, and copyright for the content I produce myself. On top of that I would need to consider the individual copyrights of any outside content I might include. I may be wrong, but that makes sense to me. I hope I haven’t misled anyone; a website is not a single ‘work’ but is made up of several different pieces of work; thanks for reminding everyone about the code works. In addition there are likely to be Database Rights (like copyright but different) in the databases that sit behind a website. If there are any applications running on, or through a site these may have seperate copyright to the code used to build it. An application may even been anticpated by a software patent (more likely in the US). Copyright in each website will be different and there will be a blurring of ownership of code as most developers will not start from scratch each time they build a new site and will re-use DLs as building blocks. The fortunate thing is copyright is very flexible and can be sliced and diced into licences very easily. However, it can only be assigned in writing.